NEFE announces two new members have joined its Board of Trustees and has named a new chair and vice chair for 2019. The National Endowment for Financial Education welcomes Joanne Flores Moses as its new chief financial officer. Moses will oversee day-to-day business operations and management of the endowment’s investment activity and finances. The National Endowment for Financial Education, in partnership with the Radio Television Digital News Association (RTDNA), proudly recognize winners of the 2018 RTDNA/NEFE Excellence in Personal Finance Reporting Awards. As part of the two organizations’ ongoing efforts to encourage and support radio, television and online news outlets to report on personal finance issues. Katherine M. Sauer, Ph.D., has joined the National Endowment for Financial Education. Sauer assumes the lead on philanthropic, research, evaluation and technology engagement of the collegiate and adult consumer education initiatives of the foundation. The National Endowment for Financial Education proudly announces that Billy J. Hensley, Ph.D., has been named today as the new president and CEO effective July 9, 2018. Hensley, who for the past eight years has been NEFE’s senior director of education, will replace Ted Beck, who announced his retirement after 13 years leading the nonprofit foundation. Over the past couple of years several news organizations have attributed a statistic to the National Endowment for Financial Education (NEFE) stating that 70 percent of lottery winners end up bankrupt in just a few years after receiving a large financial windfall. This statistic is not backed by research from NEFE, nor can it be confirmed by the organization. CashCourse and the National Endowment for Financial Education (NEFE) announce Paul Goebel, director of the Student Money Management Center at the University of North Texas, has been named the 2017 CashCourse Financial Educator of the Year. 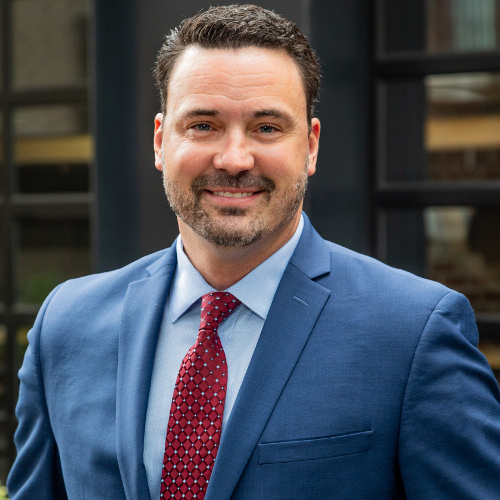 The Consumer Financial Protection Bureau (CFPB) has announced the appointment of Brent Neiser, CFP®, senior director with the National Endowment for Financial Education (NEFE) as one of six new consumer experts from outside the federal government to its Consumer Advisory Board. Brian Bull from KLCC public radio in Eugene, Oregon, has received the 2017 PRNDI/NEFE Excellence in Consumer Financial Reporting Award for his entry, “Robust Eugene-Springfield Housing Market Subject to Potential Downturns,”. NEFE partners with the Radio-Television Digital News Association (RTDNA) to provide Money Matters, a resource with story ideas, reporting examples, coverage strategies, case studies, and more.